I did not really get turned on to Jay-Z’s music until the early 2000s. In fact, I hadn’t heard his full 1996 debut album Reasonable Doubt (which Jay-Z himself ranks as his best album) until earlier this year. Still, among all the musical artists and groups to make it into my 30 at 30 collection, Jay-Z has the distinction of the earliest appearance on a Matt’s Mix with “Big Pimpin'” appearing on Matt’s Mix II, which I made circa 2000. Like the concert, the Jay-Z compilation I created features a number of collaborations, including three featuring Beyoncé. “’03 Bonnie & Clyde” was the couple’s first collaboration and the opening track at the Philadelphia concert. 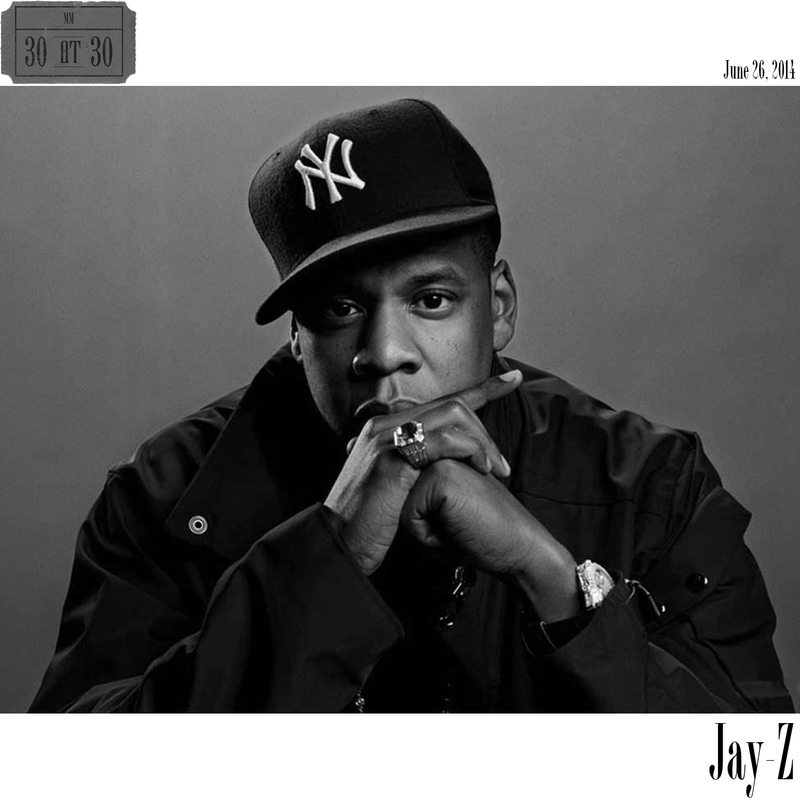 “Part II (On the Run)” from 2013’s Magna Carta… Holy Grail plays as a sequel to “Bonnie & Clyde”, building on the analogy of Jay-Z and Beyoncé as modern-day outlaws. The other collaboration with Beyoncé that made it onto this compilation was “Hollywood” from 2006’s Kingdom Come. Although neither this song nor album would likely show up in the Jay-Z canon, it’s always been a personal favorite of mine. As private as they have tried to keep their relationship in the past, they are both such big celebrities that theirs is essentially the epitome of a Hollywood relationship. Aside from Beyoncé, Jay has had other notable collaborations, particularly on 2009’s The Blueprint 3. On “Run This Town” Jay is joined by protégé Kanye West and Rihanna. New Yorker anthem “Empire State of Mind” features fellow MM 30 at 30 member Alicia Keys belting out the refrain. And on my compilation closer “Young Forever” he teams with Mr. Hudson. In all, my Jay-Z compilation includes 19 tracks from 10 different albums released between 1998 and 2013. That alone is an indicator of the staying power Jay-Z has had. Hip hop has traditionally been a young man’s game, but Jay-Z is continuing to add to his résumé and redefine the art form he helped grow. From “Hard Knock Life” to “99 Problems” to “Picasso Baby” Jay-Z has demonstrated a smooth rap flow and ability to use clever wordplay that makes him stand out among the all-time greats.